The annual EULAR Postgraduate Course in Rheumatology is aimed to update the professional knowledge of young rheumatologists from around the world, while giving participants the opportunity to meet and exchange ideas and experiences. 01 - 03 October 2018 in Budapest, Hungary. There will be an extra, free day of lectures on 04 October, which is courtesy of the Hungarian Association of Rheumatologists (HAR) as they are celebrating their 90th birthday in 2018. Check out photos from a previous course here on Facebook. Check out the Youtube video of a previous course. 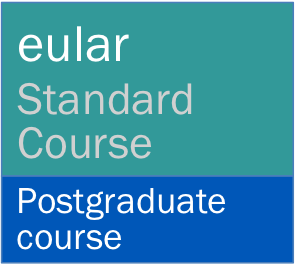 Attending the EULAR Postgraduate Course in 2018? We’re looking to recruit some EMEUNET roving reporters to share their experience of attending the EULAR Postgraduate Course with colleagues. If you are interested please see our poster for further details – we look forward to hearing from you!